David anointed King is running from King Saul’s attempts to kill him and hides in the cave of Adullam. His brethren and all his father’s house hear of his plight and come to the cave to join up with David. All that were distressed, in debt, and discontented, congregated in the cave with David. Would you, being in the situation that David was in, discouraged and fearful for his life, want a crowd of disgruntled, frustrated, irritated, restless, annoyed, and broke people in your cave? Four hundred men take up a great deal of space and given their circumstances could be quite discouraging to have around. Can God take the most troublesome circumstances and turn them for our good? Were the years David spent battling hardship and disappointment all in vain or did God take these trials and turn them into tremendous times of growth and preparation for what God had in store for him? What is it that will bring you to the point of disappointment and discouragement in your life? Will you turn away from God or will you let Him embrace you with His wondrous love and mercy. If you can identify the source of discouragement and trust in Christ (Matthew 11:28-29), you will find rest unto your souls. Satan wants us to focus on those areas of weakness in our lives such as gossip, unforgiveness, anger, and feelings of bitterness. We can’t think clearly when we’re focused on the lies of Satan. His lies divide our minds and cause us to blame God and others. If we continue to live in this harmful condition, we will eventually suffer the consequences of them. How do we emerge from our disappointment and find contentment? We must realize that God is aware of our circumstances and nothing catches Him off guard. 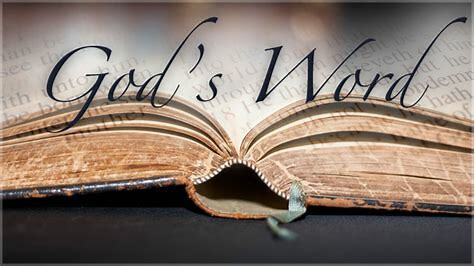 Our understanding of Scripture is essential, and through the various testings of our faith, it will produce steadfastness in our lives (James 1:2-4). 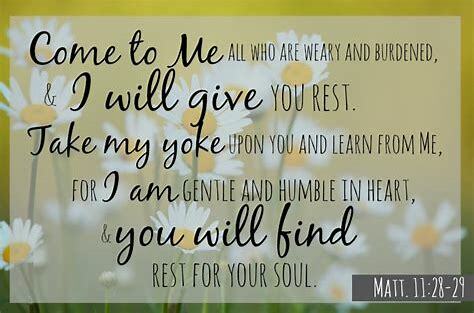 Lord, thank You for Your Word that encourages my weary soul. The story of the crucifixion of Christ is the high point of redemptive history and the center of God's purpose for salvation. On the cross, is where the Lord bears the sins of the world and provides salvation to all who believe in Him. The cross demonstrates the grace, mercy, goodness, and love like no other event in history can. 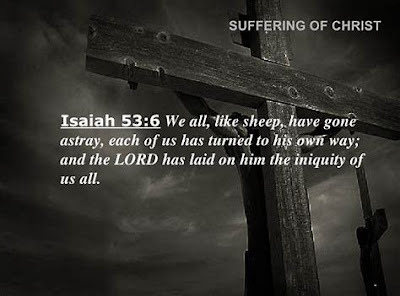 Jesus was willing to suffer for sinners, to suffer not only the death on the cross but everything that comes with it. The agony was beyond belief. Christ, without rest or sleep, endures the trials, the beatings, and the scourging without saying a word. “He was oppressed, and he was afflicted, yet he opened not his mouth: he is brought as a lamb to the slaughter, and as a sheep, before her shearers is dumb, so he openeth not his mouth” (Isaiah 53:7 KJV). Let us never pass over the meaning of the death of Christ on the cross on the way to celebrating His glorious Resurrection (which is worthy of our celebrating). It is the cross that gives meaning to the resurrected Christ and why “Jesus Christ, and Him crucified” (I Corinthians 2:2) is so important and the very essence of the gospel message. The longing of every believer should be as Paul stated; “That I may know him, and the power of his resurrection, and the fellowship of his sufferings, being made conformable unto his death; If by any means I might attain unto the resurrection of the dead” (Philippians 3:10-11 KJV). If you don't know the Savior and have not believed in Him, or what He has done for you, today is the day of salvation (2 Corinthians 6:2). He has been lifted up before you this day, see Him as the Son of God, the Savior of the world who died for your sins. Accept Him by faith and trust Him as your Savior today. Lord, thank You for the cross, and the suffering You endured that I may have salvation. "But for the Glory of God"
Now a certain man was sick, named Lazarus, of Bethany, the town of Mary and her sister Martha... 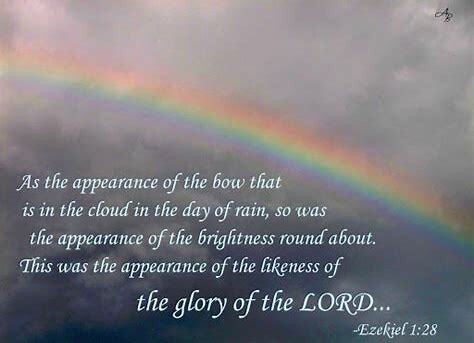 This sickness is not unto death, but for the glory of God, that the Son of God might be glorified thereby. Have you ever considered that your suffering is a gift from God to you? I knew the suffering of Jesus was a gift to me, but I hadn’t thought that my suffering was gifted to me by God. It is hard to think that suffering is a gift when you are in the midst of the suffering. Jesus knew Lazarus was sick and that he had already died before He even came to Bethany. What was His purpose in waiting to come to Lazarus and to Mary and Martha? “But for the glory of God” is what Jesus told His disciples. Jesus allowed Lazarus to die so that God would be glorified in Lazarus’ resurrection from the dead. Lord, I know I am loved in my suffering, may I glorify You in my life and in my death. … for you were slain, and by your blood you ransomed people for God. I have been thinking of a place called Heaven recently, with the loss of so many of my loved ones and friends, the splendor of Heaven has captivated my mind. The thought of heaven being filled with the presence of the Lord God Himself compelled this brief writing in hopes that your heart would be drawn to a place we call, “Home.” The Bible describes heaven as a place in which sadness, pain, and death itself will end, and the presences of the LORD will enrapture your soul for eternity. Scripture tells us of a few sights we will see when we enter heaven’s gates. We will come into the very throne room of the Majesty on High. Knowing that God’s throne is forever in heaven gives us presences of mind that He is everlasting, unchangeable, and in complete authority. He governs the world, not merely as Creator, but as Savior. We are told that around the throne of God is a rainbow as Ezekiel envisioned and experienced God’s glorious and triumphant grace (Ezekiel 1:28). We are clothed with the garments of salvation and covered with the robe of righteousness which is imputed to all believers (Isaiah 61:10). The saints clothed in His righteousness will be invited to the marriage supper of the Lamb, a feast prepared for His bride (Revelation 19:9). These are only a few of the sights that we will see as we enter the splendor of heaven. Our journey “Home” will be the most magnificent trip ever taken. No human could ever compose a city like heaven where we will dwell with Christ forever. How glorious it will be and yet, this is only a dim account of what heaven will be like. At first glance, we will see His nail-scarred hands. Every knee will bow before the One who was slain and all will confess that Jesus Christ is Lord, to the glory of God (Philippians 2:10-11). Lord, thank You for heaven. Are We Loving One Another? What do you do when someone comes to you and says, “I’m worried, I’m afraid, I’m hurting or I’m depressed?” Do you have to personally experience their specific pain or suffering to be able to listen or care for them? Do you think that the only people that can help those in distress are pastors, elders or professional therapists? 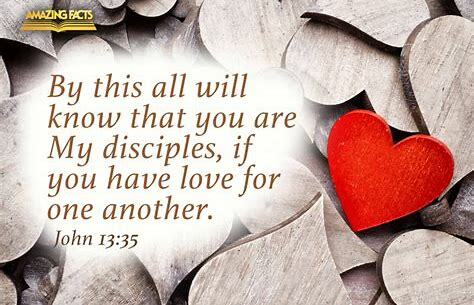 The Bible makes our response clear towards a brother or sister in need, “. . . love one another earnestly from a pure heart. . .” (1 Peter 1:22,23). The love indicated here by Peter is the love of choice and to meet the needs of another with a fervent, unfeigned love. Fervent is defined as: having or displaying a passionate intensity and unfeigned means: genuine; sincere. We don’t need to have all the answers to be able to come alongside someone and love them through their sorrow. We need to love them where they are and know that God commands us to do so in Scripture. 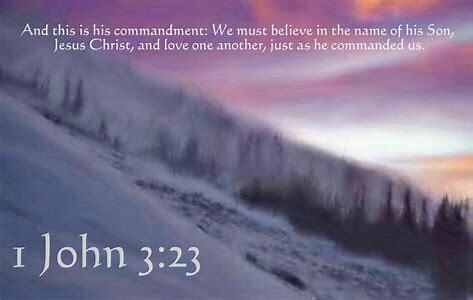 John 13:34; 15:12,17; Romans 12:10; 1 Thessalonians 4:9; 1 John 4:7 are Christ’s command to us to “love one another.” Our responsibility is not to “fix” the person who’s suffering but to love them as Christ has loved us. Love is portrayed by concern, compassion, sympathy, and affection. Paul teaches us in 1 Corinthians 13 that love is patient, kind, and never ending. Love bears all things, believes all things, hopes all things, and endures all things. The theme that resonates throughout the entire Bible is the love that God has for His own, an unconditional love. This sincere and genuine love motivates one to share Christ with those that are lost and care for those that are hurting and hopeless. 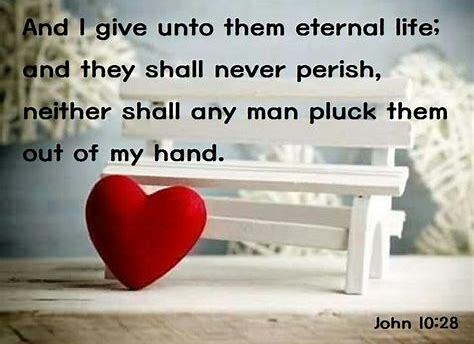 Lord, may my heart be caring, my actions be kind and my desired purpose be in loving others to the glory of God. You may be asking, “How should I read the Bible?” The answer is clear. The Word of God should not be read as a self help manual determining how you are to live out the perfect Christian life. The Bible provides hope through the pages of its narratives as well as through the timeless truths which offer grace and mercy to fallen man. It is written about OT people that are in captivity, suffering in misery and crying out in utter despair. Yet, they see and experience the faithfulness of God through extensive hardships and pain. 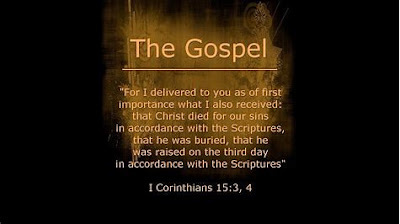 The Apostle Paul suffered many difficulties for the advancement of the Gospel nonetheless, he proclaimed encouragement and comfort through the faithfulness of Christ. A believer, living to the will of God, rests implicitly on his Creator's faithfulness to accomplish what is set before him by faith. We need to see the sinful state of our existence as condemned without hope, (Romans 3:11-18). Yet, God’s wonderful redeeming love is shown throughout Scripture through the timeless story of His precious Son, Jesus Christ. We are assured of His birth, His death on the cross, His miraculous resurrection and glorious ascension into heaven. The Bible is most advantageous when read through the sorrows of life. But, in spite of all the heartaches, this precious book gives hope to the hopeless, rest to the weary and peace to those struggling in the midst of life’s storm. Lord, may I read Your Word through the eyes of love and gratitude. 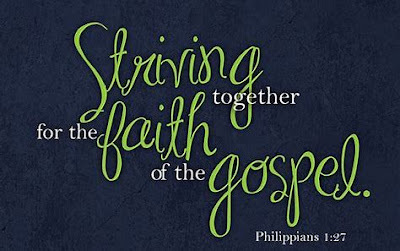 Paul, a citizen of heaven, wants the Philippian church to realize that the world around them can only see the true Gospel by what they view in their lives. We are to conduct ourselves in a manner worthy of the Gospel of Christ. The most powerful weapon against the enemy of Christ is the consistent life of a believer living out the Gospel day after day. 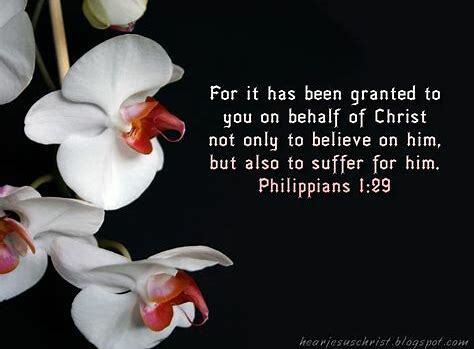 The sufferings of the Philippian Christians were mentioned more than once by Paul in his writings. If we suffer for Christ’s sake, we are to consider it a precious gift from Him. We are to labor together for the Gospel’s sake and not against one another. We are to be of one spirit and one mind, standing against any opposition of the Gospel Satan may bring (Matthew 5:11-12). Paul is encouraging believers that when they stand for the sake of the Gospel they will suffer persecution. He instructs them to be consistent in living their lives worthy of the Gospel and in the end, they will receive a great reward. “If we suffer, we shall also reign with him: if we deny him, he also will deny us:” (II Timothy 2:12 KJV). Paul instructs the people that there is an enemy that wants to steal this treasure from them and cripple the ministry of the Gospel; but God gives the grace we need to go through any trial and enables us to have joy in the midst of every battle. Lord, may I ever walk worthy of the Gospel of Christ though trials may disrupt my path and obscure my way. The Definition of Fear: An unpleasant emotion caused by the belief that someone or something is dangerous, likely to cause pain, or a threat. A feeling of anxiety concerning the outcome of something or the safety and well-being of someone. How often do we experience the crippling effect of fear? What circumstances or situations send us into uncontrollable waves of anxiety? Can we let go of this overwhelming fear or, are we afraid of what might happen? Does the fear of man have such power over our lives that it paralyses us to the point of despair? We are encouraged through the Word of God to depend upon the power of God which keeps us from the fear of man. 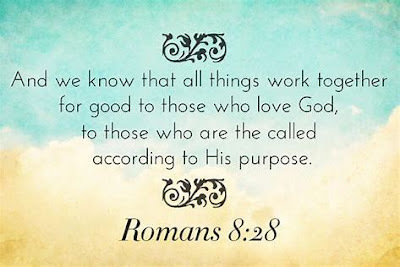 May I assure you that God is working in and through every aspect of your life. You can trust Him with all that He has allowed to come across your path. It is not easy to trust God in times of adversity because no one enjoys pain or suffering to be sure. Having such a relationship with a God that allows you to walk through any trial with confidence, gives assurance that He is there with you through every situation. God never walks away and leaves you to chance or random circumstances, but moves in your life to accomplish His purpose and bring glory due His name. We must not fear the unknown, nor sickness, nor the loss of life, nor any unfavorable experience laid at our feet–––for with all adversity comes a deeper relationship with our God. His faithfulness sustains us for we are not independent of God but dependent upon His continuing power to give us life and breath. Lord, may I trust Your Word in knowing that You are with me no matter what fear or trial may come my way.
. . . Christ died for our sins. . . was buried, . . . He rose again the third day . . . The assurance of our salvation is a reoccurring joy on the basis of the continuing work of the Holy Spirit, fellowship with Christ and the Father. 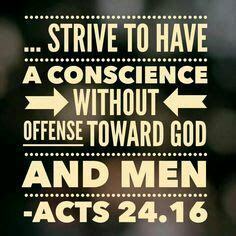 This is a crucial part of our so great salvation. The person that is truly saved will be sensitive to sin in his or her life and cry out as Paul did in Romans 7:24, “O wretched man that I am!” True believers are to, “. . . walk in the Light as He is in the Light,” (I John 1:7), confessing and forsaking sin as it is made known to them. If we say we have fellowship with Him and yet walk in the darkness of sin, we are lying to ourselves and are not practicing the truth–––Light and darkness do not coexist. God gives us the confidence to know that we have eternal life not based on feelings or experiences but on the truths of Scripture. If this is true, then there is never a reason for any of us to live a ho-hum Christian life. We are to live our lives experiencing His exceedingly abundant grace and mercy by faith in the Lord Jesus Christ and what He has done for us on the cross. Suffering rejection because of your faith is a painful test but you are not to be surprised by this persecution (I Peter 4:12,13). If you are being persecuted by the world and have experienced rejection, bitterness, hostility, and alienation, then this may bring clarity to whom you belong and whose name you bear. It is the Christian’s blessed hope that one day Christ will return and we will see Him face-to-face. Our citizenship is in heaven and one day we will be transformed from this frail, sinful body into a glorious body bearing “the image of the heavenly” (I Corinthians 15:49b). Our longing to see Christ indicates the wonderful reality of eternal salvation. Lord, thank You for saving grace. John’s writings are straightforward in describing Jesus as deity. He was accused of breaking the Sabbath when He healed an invalid man after thirty-eight years of being bedridden. He called God his Father, making Himself equal with God. This infuriated the Jews and why they were seeking to kill Him. In John 8, He calls Himself, “The Light of the World,” and “before Abraham was, I AM.” After hearing this, the crowd picked up stones to throw at Him, but He hid and left the temple because it was not yet His time. In John 9, Jesus passes by a man born blind. His disciples asked Him, “Rabbi, who sinned, this man or his parents… ?” “It was not that this man sinned, or his parents, but that the works of God might be displayed in him.” The Jews brought the man who was formerly blind to the Pharisees. (Jesus made mud and opened his eyes on the Sabbath). The Jews didn’t believe the man had been born blind, so they asked his parents. The parents were fearful to speak and said, “He is of age, you ask him about his blindness.” The parents didn’t want to be put out of the synagogue by the Jews for it had already been said, “if anyone confessed Jesus to be the Christ they are not allowed.” They reviled (angrily criticized) the man that once was blind and cast him out of the assembly. Jesus heard that they had cast him out, and went to find the man to ask, “Do you believe in the Son of Man?” After finding out who Jesus was, the man said, “Lord, I believe, and he worshiped him.” Jesus will die on the cross after using the phrase, “Son of Man” over 80 times and notably, He used it more than any other title. The proclamation by Jesus that He was the“Son of Man” holds great value in saying, “He is the One given everlasting dominion, which shall not pass away, or be destroyed” (Daniel 7:13-14). 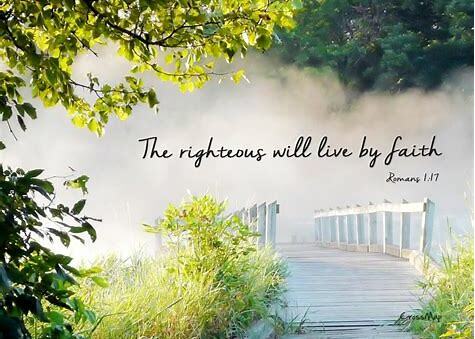 Lord, by faith, I believe. In John chapter 10, Jesus is speaking to the Pharisees and Jews about being a shepherd. 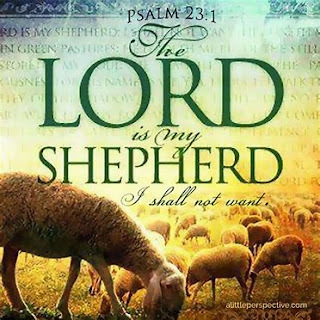 The term “Shepherd” has only been given to God the Father up until now but Jesus is telling them that He is the “Good Shepherd.” They didn’t understand all that He was saying to them and so He began to explain His position as the good shepherd. Jesus makes three declarations to the crowd standing before Him. First, He says, “I am the good shepherd. The good shepherd lays down his life for the sheep.” (Here, He declares His love for His sheep.) He then tells them that He has other sheep that are not of this fold. He must bring them also, and they will listen to his voice so that there will be one flock and one shepherd. (The other sheep means you and me, Gentiles outside of Israel.) In John 10:17-18, Jesus proclaims His love once more. He speaks of the Father’s love for Him because Jesus will lay down His life that He may take it up again. No one takes it from Him, but He will lay it down of His own accord. Jesus speaks of the authority He has to lay down His life, and the authority He has to take it up again which He received from His Father. The Jews were divided among themselves after hearing Jesus express these words. They thought He may have a demon in Him and be insane. They began to question the others by saying, “Why are you listening to Him?” Many of them said, “These are not the words of one who is oppressed by a demon. Can a demon open the eyes of the blind?” (This statement was referring to John 9 where Jesus healed the man born blind). Jesus does love you! He willingly laid down His life that mankind may be saved. When we believe in His sacrificial death and miraculous resurrection and repent, we have the gracious gift of eternal life. Lord, I know you love me.